I write the books I needed as a teen and couldn't find. I love to write--and I love to read. Books nurture me, helped me survive the abuse I endured as a child and teen. I write fantasy books and edgy, realistic fiction for teens. My fantasy books often hold hope that I need, and feel others might need, too, while reflecting on forms of oppression or pain, while my realistic fiction is gritty, intense, and emotional. All of my books have fragments of the abuse I experienced. 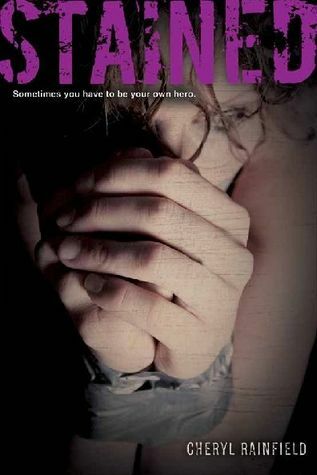 I write about some of the harsh things teens go through...things that I think shouldn't be hidden. But I also write about healing, hope, and love, and finding courage and strength. 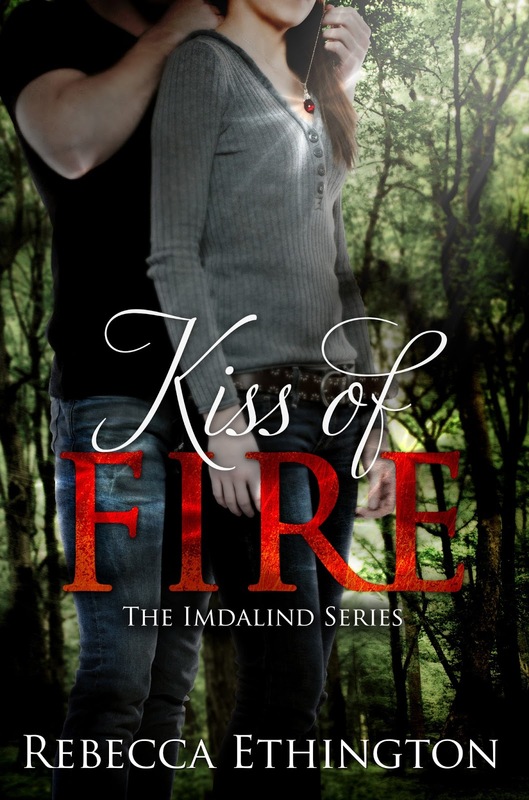 Check out what Cheryl Rainfield has to say about her upcoming release. Stained by Cheryl Rainfield, November 19, 2013. Published by Harcourt Children's Books. 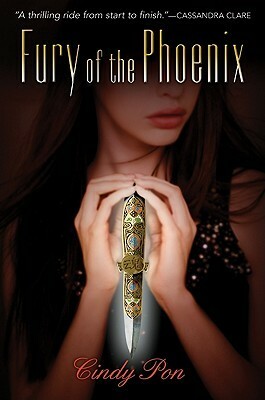 Fury of the Phoenix (Kingdom of Xia, 2) by Cindy Pon, March, 2011. Published by Greenwillow Books. Her mysterious power haunts her day and night, and she leaves home--with just the moon as her guide--overwhelmed by her memories and visions and an unbearable sense of dread. For Ai Ling knows that Chen Yong is vulnerable to corrupt enchantments from the under-world. How can she do nothing when she has the skill and power to fight at his side? A dream has told her where he is, the name of the ship he is traveling on, his destination. So she steals off and stows away on board. The ocean voyage brings with it brutal danger, haunting revelations, and new friendships, but also the premonition of a very real and terrifying threat. Zhong Ye--the powerful sorcerer whom Ai Ling believed she had vanquished in the Palace of Fragrant Dreams--is trapped in Hell, neither alive nor dead. Can he reach from beyond the grave to reunite with Silver Phoenix and destroy Chen Yong? And destroy whatever chance Ai Ling has at happiness, at love? Why: I really enjoyed reading Silver Phoenix last year and am dying to know what is going to happen to Ai Ling in book two. 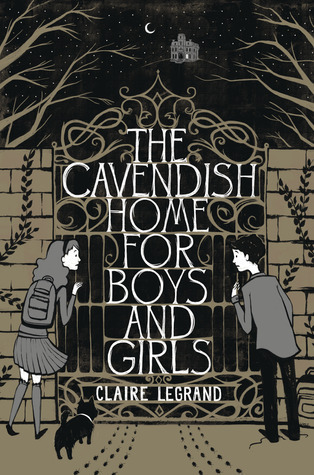 One of the reasons I loved the first book so much is because Cindy Pon did an incredible job with imagery and setting. 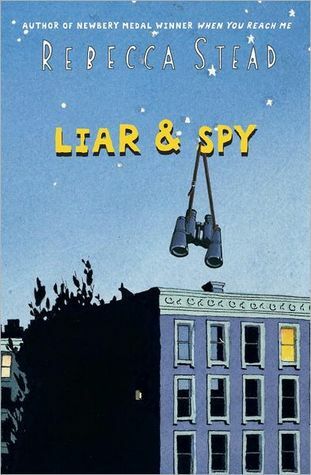 Liar & Spy by Rebecca Stead, August 7, 2012. 180 pages. Published by Wendy Lamb Books. Source: Won. 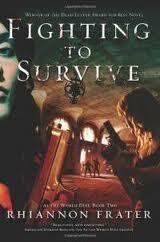 Today's post is for Fighting to Survive by Rhiannon Frater, an adult series...with zombies. Fighting to Survive (As the World Dies, 2) by Rhiannon Frater. Adult Zombie Series - Paperback Release: January 29th 2013 / Tor Books. The fort’s search and rescue teams have attracted unwanted attention from bandits who see the fort as competition for food . . . and as a ready source of women. The first attacks are minor, but everyone knows there is worse to come. You can add Fighting to Survive to your Goodreads shelf. The giveaway is for one copy of book 1 and one copy of book 2--the mass market releases. Open to US & Canadian addresses. Ends February 10th, 2013. I am very excited to welcome Darby Karchut, author of Finn Finnegan, to the blog for this week's All About Middle Grade Challenge. Hope y'all will give her a very warm welcome. 1. 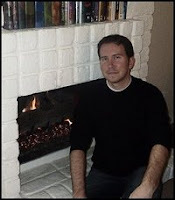 Could you tell us a little about your book, Finn Finnegan, and what readers can look forward to seeing in the book? 2. 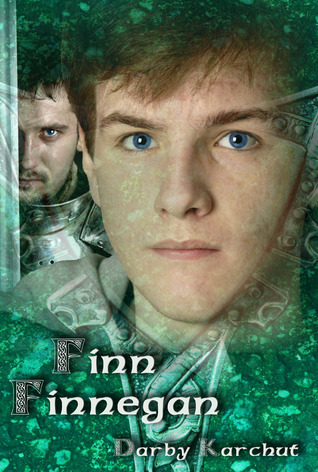 Finn and Gideon, definitely make quite the pairing as master and apprentice in this modern set mythological adventure. What did you enjoy most when it came to creating the relationship between the two of them? I decided early on that these two were going to have a rough-and-tumble relationship, with lots of head butting and arguing (Finn is a thirteen year old boy, after all). And with both of them being blessed with a generous share of the Irish temper, sparks fly, often with humorous results. But underlying everything is a growing bond of affection and respect and mutual dependence. Sometimes, they are as much father and son as they are master and apprentice. 3. So, what made you want to write a middle grade book based upon Irish mythology with some amazing Celtic warriors? Middle grade is magic. Pure magic. I teach middle school (students the same age as Finn) and I love watching as my students, especially the boys, take their first steps from childhood to manhood. I wanted to give boys heroes they can believe in: a hero their own age they can measure their growth against, as well as an adult hero they can emulate. And why Irish mythology? Because the dual nature of the Celts make for some dynamic character development. Finn and Gideon are both warrior bards in the ancient sense of the term. They are hunters and fighters, but they also love to sing and the written word. 4. How much research did you have to do in regards to the Celtic language that you sprinkled throughout the book? Any favorite phrases? Thank goodness for the Internet! I am constantly looking for translations and pronunciation guides for the various phrases I use. My foreign language is limited to six years of Latin (classical, not medieval), so I’m learning Gaelic right along with the boyo. While I did research for Finn Finnegan, I began a list of phrases I will use in the other books of the series. My favorite phrase in book one is codladh sumh. It means “sleep well.” A nice touch by this blue collar, no-nonsense master to wish his headstrong apprentice a good night. 5. If you could have any, and I mean any, mythological story in the world be 100% truth, which would you choose? Why? Well, I hope I don’t offend anyone, but the “mythological story” I would love to be 100% true is the Christian “myth” which is not a myth at all, but True. 6. It's always nice to meet a fellow lover of fantasy books. What three fantasy book would you say have made the biggest impression on you as a reader? Why? The Lord of the Rings by J. R. R. Tolkien, the Prydain Chronicles by Lloyd Alexander, and The Ranger’s Apprentice series by John Flanagan. Hmm, that would be a toss up between Aragorn from The Lord of the Rings or Gwydion from the Prydain Chronicles. Or Lassie. Lassie would be cool. 8. Care to tell us about your writing cave? This question made me grin. Writing cave – I wish! I write on a laptop. It travels with me all over the house, to school, and so on. I write whenever I have a fifteen minute window. I am always writing. Or thinking about writing. 9. Any upcoming projects that you can share with us? Book two, Gideon’s Spear, is with my editors (hi Trish and Vikki!!) and will be released February 2014. 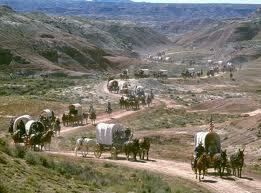 I am wrapping up the first draft of book three, tentatively entitled The Hunting. Book four, The Burnt Bones, is outlined and patiently waiting for me to get going on it. DK: Thank you so much for letting me visit with you and your followers today. I had a blast answering these questions! Darby, thank you, for stopping by and answering some questions. Definitely looking forward to next next book in this incredible series. Y'all can read my review of Finn Finnegan. Finn Finnegan (The Adventures of Finn MacCullen, 1) by Darby Karchut, March 12, 2013. Published by Spencer Hill Press. You can read my review of Finn Finnegan. Perfect Scoundrels (Heist Society, 3) by Ally Carter, February 5, 2013. 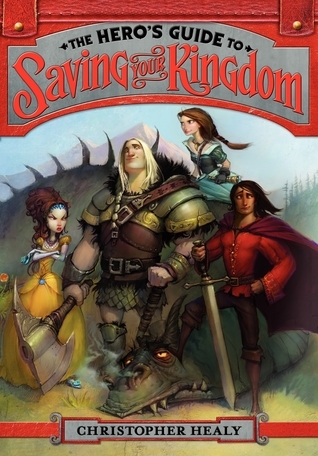 Published by Disney Hyperion. Why: Because its the newest Ally Carter book and I love her writing and this series to pieces. Plus, how could I resist more heists, as, well as more Kat and Hale. Finn Finnegan (The Adventures of Finn MacCullen, 1) by Darby Karchut, March 12, 2013. 200 pages. Published by Spencer Hill Press. Scource: publisher. "Son of a goat!" The boy swore and jumped back. 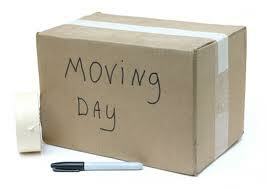 While I have scheduled up some posts, you can expect fewer posts and less tweets over the next few days to a couple of weeks while we get everything all set up. 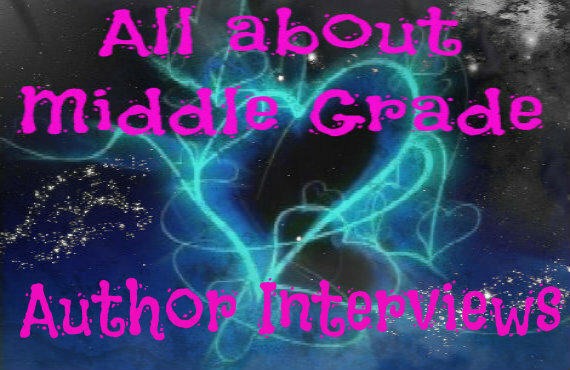 Authors, if you signed up for the All About Middle Grade Challenge, don't fret, I'll get your interview questions out to you as soon as I can. If I haven't emailed you yet, I'll do that as soon as I can, too. Right now, all the interviews for January/February are all scheduled and ready to go, I just need to finish up and send out the March ones. This list is going to be righteous mix of books because I’m really picky about what I read and also can love a book for ages. The books I’ve listed either inspired to me to keep reading or to start writing, so you’re going to find some classics in here, but I hope you’ll surprised and even a little baffled. Gulliver’s travels – Swift’s novel was a chore to read in high school, but I read it again a few years ago and discovered it was amazing. I found the satire rich and the writing very natural and surprisingly modern. Matlida – Roald Dahl’s middle grade novel was one of the first books that kick started me into reading again. Civil War by Mark Millar – I am a lover of graphic novels and this one was good as it dealt with very adult and timely issues. Following on from the Patriot Act, it explored the extent to which freedom could be limited for the ‘greater’ good. It did cop out at the end as the writer didn’t seem to take a side, but I suppose he wanted to leave it to reader to choose. First Among Equals by Jeffery Archer. It is not a secret I am a huge Jeffery Archer fan. I liked this book because it gave an insight into what it took to become prime minster of Britain. I do not know what drew me to this book, but once I read it I was hooked on Archer. Kane and Abel / The Prodigal Daughter / Shall We Tell the President by Jeffery Archer. 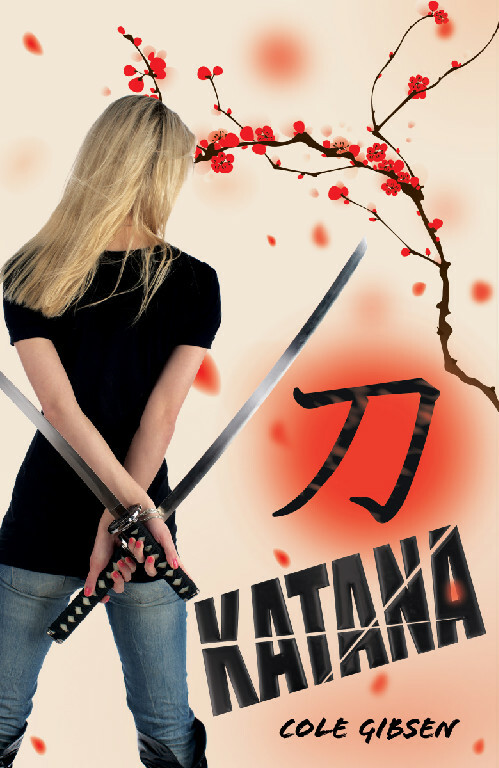 The books were one of the first I read that had a strong female lead who wasn’t super powered. 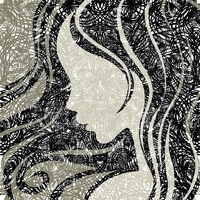 Instead, she used her intelligence and cunning to get what she needed and she succeeded. A Twist in the Tale by Jeffry Archer. Okay, this will be the last Archer book I promise. In this book of short stories, each tale ended with a twist no one saw coming. Trust me even now you’d be surprised. The Lorax by Dr Seuss (or Dr Seuss in general). He was an amazing writer and I’m surprised at the level of thinking he pitched to young readers. Even as adults I struggle to live up to his moral code. Sweet Valley High Series – I do not think these are the best written novel, but I loved the books growing up because they were pretty much all that were available at my middle school and high school in Nigeria. All cool the girls read them and I managed to read a few I borrowed from friends. I soon felt the stories were limited with quite a few cultural gaps, so I started writing fan fiction where I felt the series left off. 1000 Years of Annoying the French – It was humorous overview of British History. I needed a book like this as I’m a British citizen, but I lived overseas as a teenager and never learned our history, properly. I’m sure if I had learnt British history, it wouldn’t have been this funny. Enid Blyton’s the Far Away Tree . This was the first novel I read. I should read it again. I remember reading this late into the night, laughing at some of weird but very offensive parts of the book. 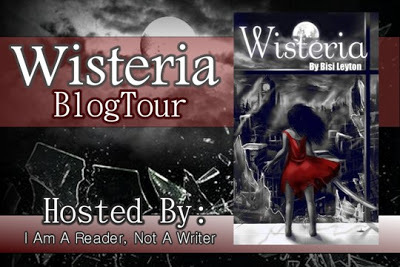 Wistieria (Wisteria, 1) by Bisi Leyton, August 15, 2012. I am very excite dot welcome L.S. 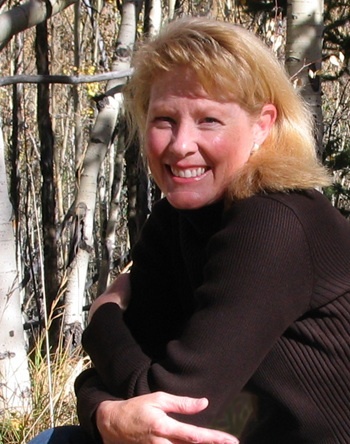 Hullinger, author of Alibi's Ghosts, The Larger-Than-Life Small World of a Medium's Daughter and Cydni Hazard, Empathic Detective, to the blog. Hope y'all will give her a very warm welcome. 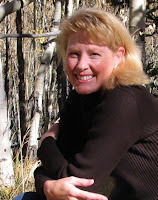 Linda S. Hullinger has had short stories, essays, and articles published in literary and commercial magazines as well as newspapers since 1989. 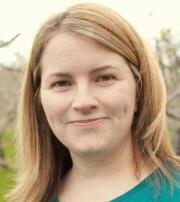 Since then she has self-published a paranormal short story collection, Holiday Spirits. Under the pen name, L.S. Hullinger, she has published two middle grade paranormal mysteries: Alibi's Ghosts, The Larger-Than-Life Small World of a Medium's Daughter, and Cydni Hazard, Empathic Detective. 1. 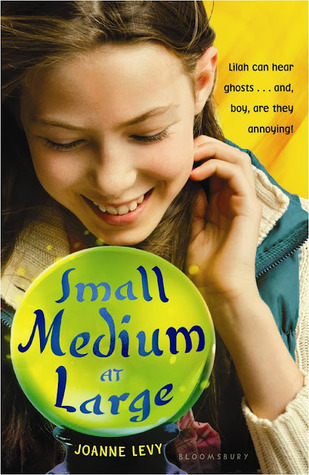 In ten words, for each, could you tell us about both of your middle grade books, Alibi's Ghosts, The Larger-Than-Life Small World of a Medium's Daughter & Cydni Hazard, Empathic Detective? Alibi is guided to solve mysteries by the spirit world. 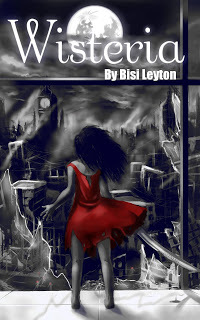 Cydni’s empathic nature leads her to uncover a neighborhood secret. 2. In Alibi's Ghost, what made you want to write a book about where the MC could communicate with the dead? After scheduling readings with clients for over thirteen years, and noticing how the spirit world interacted with my family during that time, I thought it would be interesting to write about a MC who could solve mysteries in that manner. I also wanted to help middle graders who are interested in learning about spiritual communication and paranormal experiences to be able to do so in a fun and informative way without being frightened. Did you always plan on making Alibi's mother a medium? Yes. 3. Since embarrassing situations seem to happen quite a lot to MG characters, can you give us a hint as to any embarrassing situations both of your MCs may find themselves in? In Cydni Hazard, Empathic Detective, Cydni stays with her Aunt Ettie while her father is at a computer convention. During that time, Aunt Ettie asks Cydni to do the ‘scarecrow dance’ which is her method of shaking off negative energy that Cydni unknowingly collected while at an antique shop. Unfortunately, the young man, Nick, who Cydni likes, happens to witness the dance, embarrassing Cydni. In Alibi’s Ghosts, Alibi gets caught by a store owner with a handful of items that appear to be stolen. 4. Ms Hullinger, both of your books sounds like fascinating mysteries with some interesting characters. Which of the two was the hardest to get down onto 'paper'? Alibi’s Ghosts was the most difficult. Many different scenes came to me while writing it, but they were never in chronological order. I had to eventually write a series of scenes and then arrange them like a puzzle. I had already structured most of the plot for Cydni Hazard just through note taking before writing it, so it flowed much more easily. 5. 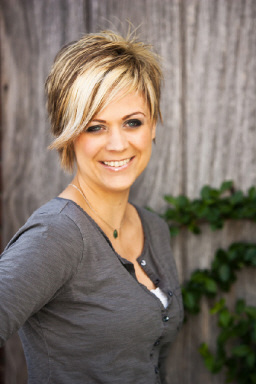 In both of your books the main characters, Alibi and Cyndi, both have a unique ability, how did you choose what Alibi and Cyndi would be capable of? I wrote Cydni Hazard first and chose empathy because that is an ability that I am very familiar with, and I wanted to explore the possibilities of my character using it to solve a mystery. With Alibi’s Ghosts, I discovered, from my own experiences, that information from a medium could become misconstrued and present a different type of mystery to solve. As you can probably tell, I’m a big fan of mysteries and I always try to incorporate some type of mystery into my novels and short stories. If you could go back and change their ability to something new, what new found power would you wish to give them? I don’t think I could change their abilities or the mysteries would not work out. 6. Given the chance, which power or ability would you like to claim as your own? How would you use this power, for good or evil? Actually, I have both abilities. 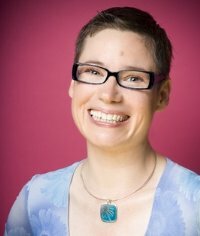 I am an empathic medium, and I just retired last year from scheduling readings and holding seminars for grieving parents since 1999. As much as I enjoyed traveling and helping others connect with their loved ones, eventually it became too draining physically. I now spend my time writing in hopes that I can help others learn how to communicate with their loved ones on their own through my stories. Even though both novels are told through the eyes of a middle grader, each story shows different ways to pay attention to the signs from the spirit world that are designed for any age group. Alibi. She would have the spirit world to guide her in saving the day. Since Cydni is empathic and her abilities rely on deciphering her out-of-character emotions, she would not be able to ‘pick up’ anything from the robots in order to overcome the invasion. 8. Care to tell us about your writing cave (include picture if you want)? Due to the lack of quiet time I had at home, I wrote most of Cydni Hazard in the parking lot of the library near my house. There is a beautiful pond and wooded area that I could look out at while sitting in my car. Later, while working on Alibi’s Ghosts, I was able to use my writing room on the second floor of my house that overlooks a pond. My desk is at the window facing outward. The rest of the room is mostly bookcases overfilled with books. I work better and am more creative when I’m able to have a long distance view of things. I cannot work in a room with no outside view. Currently, I’m in the process of revising a novel about a walk-in. 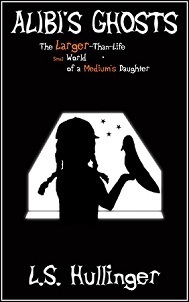 Alibi's Ghosts, The Larger-Than-Life Small World of a Medium's Daughter by L.S. Hullinger, June 7, 2012. Alexandra ‘Alibi’ Vernon is the eleven-year-old daughter of a psychic medium whose behavior is repeatedly influenced by kids from the Other Side. From building sub sandwiches in her sleep to sneaking into a stranger's attic, Alibi has her innocence challenged on a regular basis. Since her mother is fairly new at medium work, she only schedules two readings a week. However, this particular week, she accidentally schedules five readings, five days in a row. 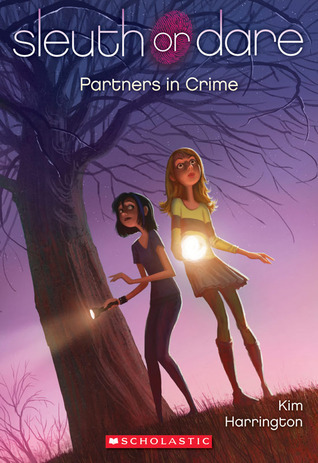 During this time, each child from the Other Side has a mysterious clue for Alibi to unravel, and she begins to notice each clue is connected in some way with the other readings. With a bit of ghostly charade playing, lots of trouble dodging, and the help of her deceased relatives: Grandpa Edgar and Cousin Kyle, along with her living but scaredy-cat best friend, Daisy, Alibi is able to solve the mystery and help all five grieving parents simultaneously. Cydni Hazard, Empathic Detective by L.S. Hullinger, July 4, 2012. Twelve-year-old Cydni Hazard wants two things in life: to be able to use her empathic abilities to connect with her deceased mother and to become a professional paranormal detective. In order to get what she wants, she feels she must learn as much as possible from her spiritually gifted Aunt Ettie, all the while keeping her supernatural talents hidden from her skeptical father. But no matter where Cydni goes, the spirit world hunts her down and brings stray cats with mystical messages that she must decipher to keep her life on a somewhat normal keel. That's not easy when her empathic nature leads her into unfamiliar territory and behavior. She never knows where she'll be going, what she'll be doing and who will be influencing her, guiding her to unravel the latest paranormal mystery. 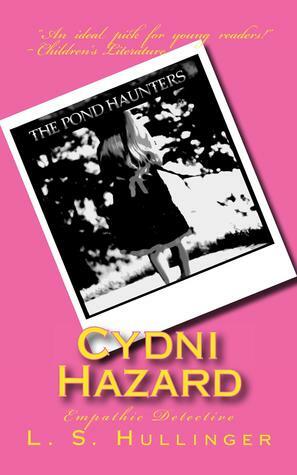 So when she spends a week at Aunt Ettie's new house and learns the small town of Blue Star claims to have a haunted pond, Cydni is empathically led to discover the truth. Provex City (The Lorne Family Vault Series, 1) by Michael Pierce, April 14, 2012. 324 pages. Source: CBB's Book Promotions/author. Helen leaned against the kitchen counter with a pocket sized wooden box in her hand. I'm always a little nervous when I start reading self published books. Not because I've read a lot of bad ones, but sometimes they could use a lot more editing and just general cleaning up, but thankfully that was not a big problem with Provex City. The prologue is what really caught my attention when I started reading Provex City.Why, because the beginning was a little weird and thus had me wanting to delve deeper into the story so that I could see why Oliver's gave her children, and took one herself, a pill to forget all that they knew so they could have a fresh start. It was strange yet fascinating because you had no idea what she/they were trying to forget and how it was going to play into the story line later on in the book. While it may have taken a little longer than expected for the twist in the prologue to be explained away, I still really enjoyed the way it tied into the story and that there was this little piece of knowledge to tease you as you read. It took me some time to warm up to the main character, Oliver. Not because he was a boring character, but because I felt that while he had all these questions regarding his family he did not seem all that pressed to find out the answers...quickly. What I did like about him was that he was skeptical and did not immediately believe all the things his teacher was trying to teach him in their private lessons. I enjoyed the fact that he did not buy into what the teacher was trying to get him to right away because it was a more real reaction then if he had been all for it out the gate. Even though Provex City was a good read I felt that it took a little long to get to the big plot point that was hinted at in the prologue. While the story did take time to take off and get down to business, I really liked the actual story and even the characters...even if they did have a tendency to make poor decisions. What kept me from giving this one a full five pineapples is the mysterious past of Oliver and his family was not revealed till like the last four chapters. I was in a constant state of waiting for things to start to come together and for Oliver to find out what I had already guessed. 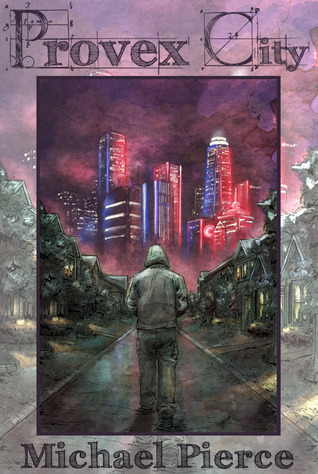 Final Verdict: Provex City was a an intriguing read with two well thought out worlds. Provex City earns 4 out of 5 pineapples. I spent the early years of my life bouncing around the East Coast and moved to Southern California in high school. I graduated from Cal State Fullerton with a bachelor's degree in Management, but continually took creative writing classes. It was the classic struggle between passion and practical. I stopped writing for a while and focused on building a career through serving people Starbucks coffee. I loved coffee and I still do. It just wasn't my true calling. Writing beckoned me back to a magical world of possibility, and I could only resist for so long. As Mr. Gordon would say, "Believe anything is possible." In the routine and obligations of everyday life, it's sometimes hard to believe. But lost in a story, I feel absolutely free. And my furthest exploration into that freedom has become my first novel, Provex City, which is Book One in the Lorne Family Vault Series. You can stay up to date on all things concerning the Provex City. 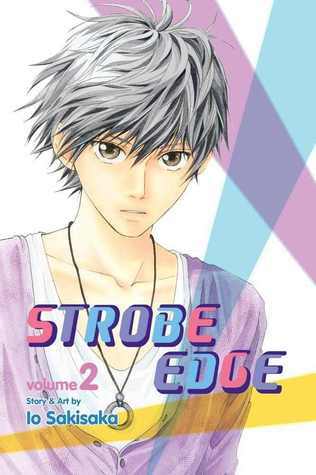 Strobe Edge 2 by Io Sakisaka, January 1, 2013. 200 pages. Published by Viz Media LLC. Source: Edelweiss/publisher. Today is y'all's lucky day. 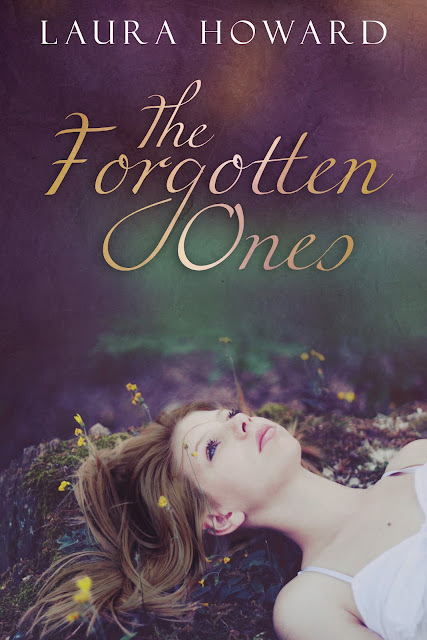 Not only do y'all get to see the reveal for the second book in Rhiannon Paille's The Ferryman and the Flame series, but you get to see the cover for the novella, too. Justice (The Ferryman and the Flame, 2) by Rhiannon Paille, January 22, 2013. You can add Justice to your Goodreads shelf. Blood & Gold (The Ferryman and the Flame, 2.5) by Rhiannon Paille, January, 2013. You can add Blood & Gold to your Goodreads shelf. 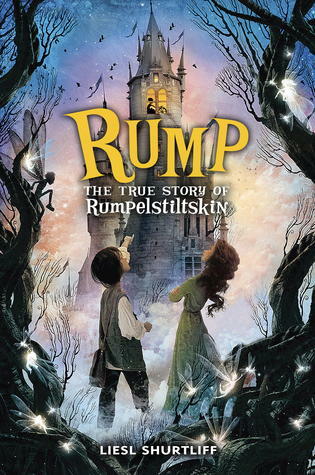 Rump: The True Story of Rumpelstiltskin by Liesl Shurtliff, April 9, 2013. Published by Alfred A. Knopf Books for Young Readers. Why: Because it sounds fantastic, and I love the idea of Rump having to go on a quest to discover who he really is. This just sounds like a fun, new twist on the characters story. Just wanted to pass this along to y'all. 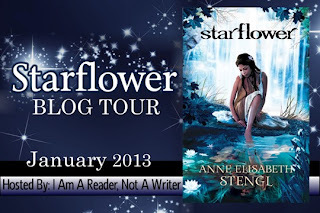 Entangled is looking for bloggers to add to their list. See below for all the info. 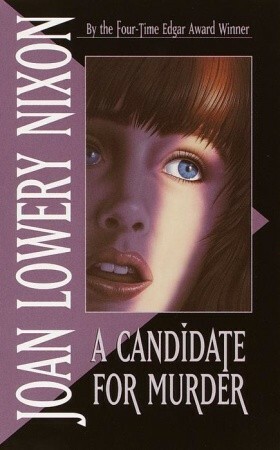 A Candidate for Murder by Joan Lowery Nixon, 1991. 224 pages. Published by Laurel Leaf. Source: Bought. With her father running for governor of Texas Cary can accept some of the changes in hr life-interviews, no time with her father, tension with her boyfriend. She even knows to expect occasional crank phone calls. But these calls in the night are different and frightening. And Cary is sure someone is following her-stalking her. I stepped out onto the darkened country club terrace and shut the heavy carved door behind me, muting the music and the laughter coming from the ballroom. Today, y'all get to see the reveal for Heather McCorkle's upcoming fantasy book, The Dragon Empire. You can add The Dragon Empire to your Goodreads shelf. 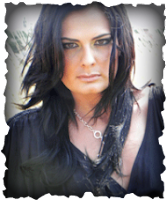 Leandi Cameron is an award-winning journalist and assistant editor for the the Boksburg Advertiser, and has now also added the titles "author" and "publisher" on her plaque with the release of her first novel, A Tale of the Other Kind: A Therian Novel. 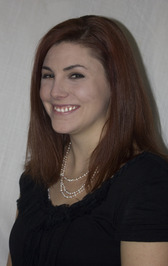 Cameron is from Johannesburg, South Africa, (maiden name Rostoll). At school she wasn't the most popular girl, as she was a victim of bullying, but found comfort in her books, and soon discovered her talent for writing at a tender age. She, therefore, resorted to spending most of her time writing poems, short stories and songs during her afternoons and evenings. Cameron confesses that she filled her nights reading every young-adult horror, paranormal, romance and fantasy novel she could get her hands on. A Tale of the Other Kind (A Therian Novel) by Leandi Cameron. Over the year, I have had the opportunity to read some incredible middle grade titles, so I thought what better way to commemorate my favorites then with a list. I'm sure y'all know how much I love making lists, especially ones that are for things I love. 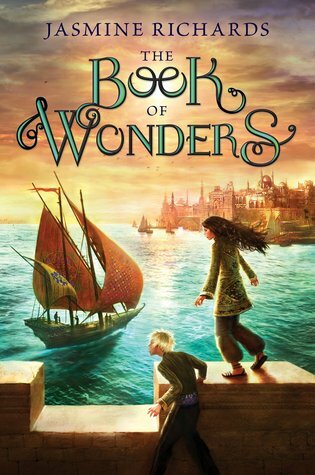 This one was just so much fun to read, and so well written that my MG list would be incomplete without including it. I also really loved how well Joanne Levy captured the voice of Lilah. I had to include the whole series because this is one that you need to read from start to finish because each of the books is a continuation of the previous one. My other reason for including this series is that Kim Harrington did a killer job with the characters and mysteries within each book. One of the reasons I loved this one so much is because Chris Healy took the some of the most popular and well known fairy tales and turned them upside down. It was just so fun and the princes' actually had personality. This was perhaps on the of the funnest and most memorable books that I read last year. 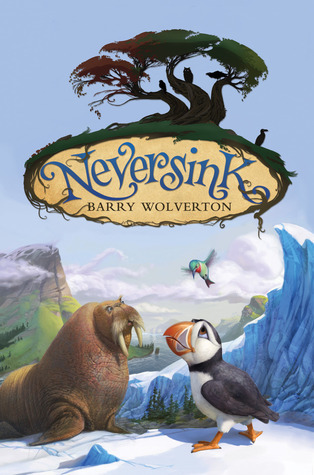 I don't usually read books that feature animals as the main characters, but what Barry Wolverton did with this one was create a thrilling read. I loved the emotional depth in this one, and the way that Rebecca Stead was able to capture the the feelings of the character. I also really enjoyed that this one is not what it seems at first. 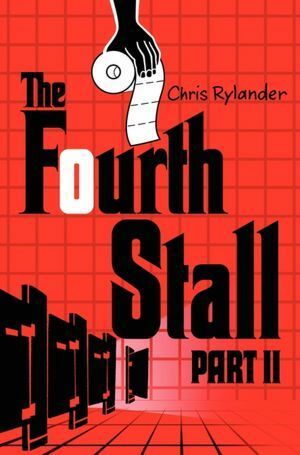 Chris Rylander's Fourth Stall series has to be the funniest series that I have red in ages. Not only is it funny, but you will love Mac and Vince and the ups and downs of the business. This one was creepy, disgusting at points, and one of the most enjoyable books I devoured last year. You must check out her writing. Jasmine Richards debut was breathtaking. I loved her characters, writing, and the plot from the very beginning and just cannot wait till the next adventurous book she writes. 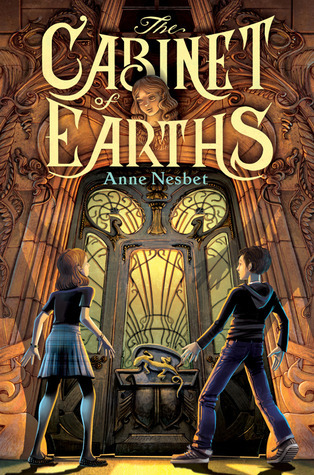 Anne Nesbit's writing had me laughing, at the edge of my seat, and even at times made me tearful because the characters were going through so much. This one was a crazy, fun ride. This was one of those books that made me wonder what rock I'd been living under since I had never read anything by him before. These are my favorite middle grade reads from last year. 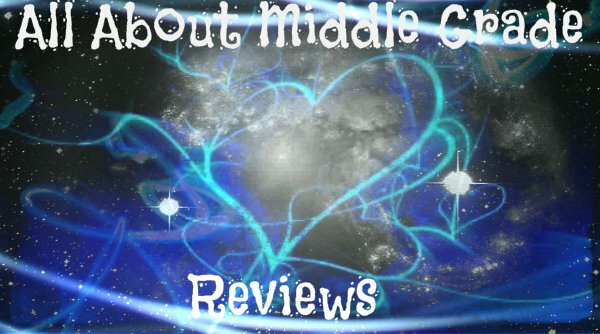 What were some of y'all's favorite middle grade reads from the past year? Have you read any of the one son my list?